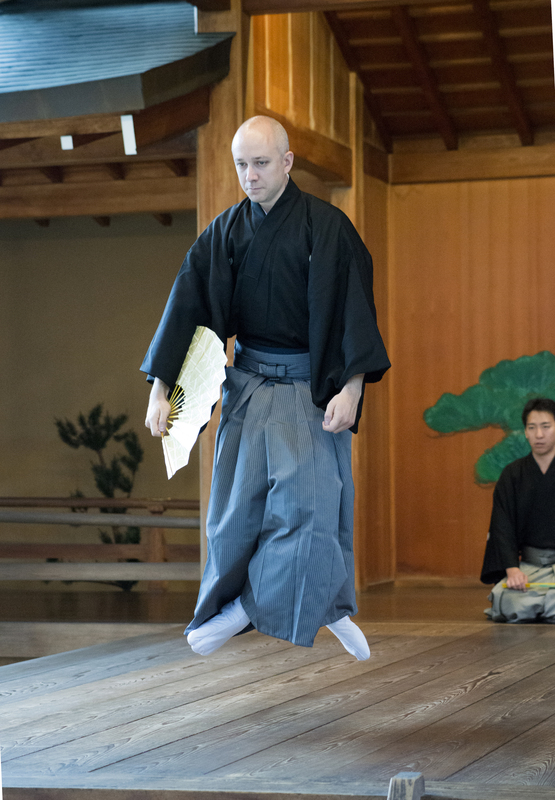 Walking is one of the fundamental elements of Noh. I like the appellation hakobi (carrying) rather than suriashi (sliding steps) because hakobi gives the idea of carrying a weight, which is indeed what you actually do when you walk this way. The movement of your body on the stage should be controlled and inexorable, like that of a heavy locomotive. Iron bars turn the wheels, but the vehicle above does not jolt. Forget about learning difficult pieces, showy kata, and focus on walking. Spend a lot of time just walking back and forth. If your walking is good you have accomplished 50% of the overall performance.